The time has come. You’re ready to build a new website for your company. You know all the things you want to include in it and how you want it to look and you set about making it happen. However, with so many things to think about – copy to organise, images to find, design options to choose, deadlines to meet – you’ve lost sight of some of the really important things. 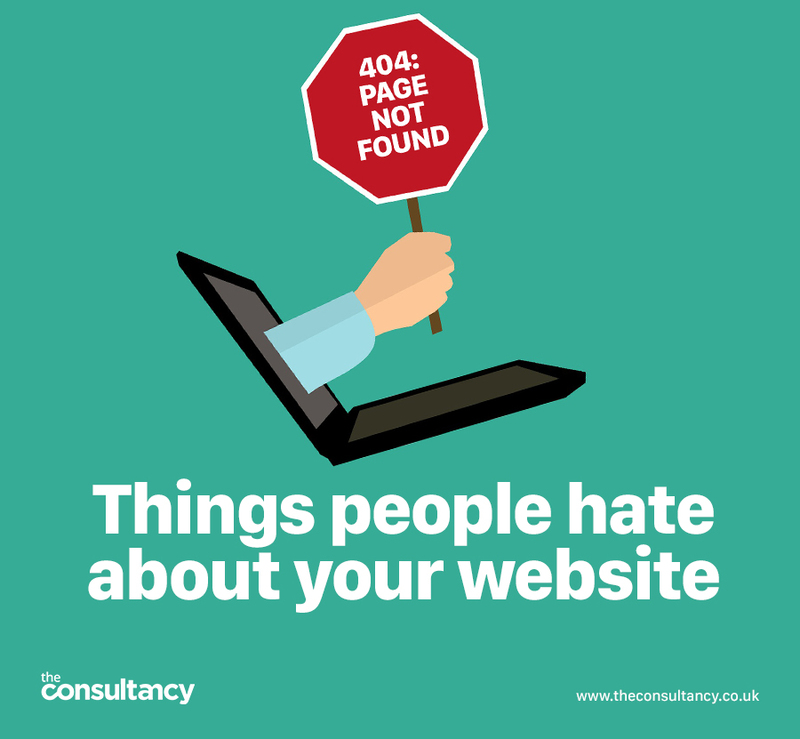 The things that have really annoyed you about other people’s websites over the years. Hopefully you’re working with a web designer and developer that can keep an eye on all of this for you, but if not, it’s critical not to forget the basics. Long loading times – people just don’t have the attention spans to sit and wait for websites to load these days. According to a KISSmetrics report 40% of consumers will abandon a website that takes more than 3 seconds to load. Too much cheese – from our experience of looking through customer photo libraries we can see why some people want to opt for stock photography to represent their business, but it’s important not to take this too far. Too many cheesy photos of strangers can make your site impersonal and characterless. Not optimised for mobile – isn’t it annoying when you find a website you want to explore further on your phone and the text is so small you have to zoom in to read it, or you have to scroll for what seems like forever to read to the end of the sentence? What’s more Google penalises your site if it isn’t mobile friendly. Too noisy – we’ve all been there, you’re browsing on your phone when you shouldn’t be only to open a website that starts playing a video, with sound, as soon as you land on the page. It’s always the time you least want it to happen and the time the volume is set to maximum! Poor navigation – did you know a high proportion of small B2B business websites lack any kind of call to action? That means they don’t direct people around their website or ask people to click through to the next page. No contact details – we know, we know, you want to generate leads from your website, so if a visitor wants more information, you want them to leave their name and number first. However, also consider the number of visitors you’ll lose by not supplying a simple phone number and e-mail address for them to contact you at their convenience. Avoid annoying your visitors like you have been annoyed by others and invest in getting your website built by experts. It’s not just about being nice, you’ll see far better results from your website if you’re not putting people off at every turn.